Today, we come in in the morning and run an auto match, do a couple of manual operations, and we’re done with the reconciliation for the previous day. Founded in 2009 in Washington State, Rain City Capital is a leading hard money lender that serves real estate investors and professionals. 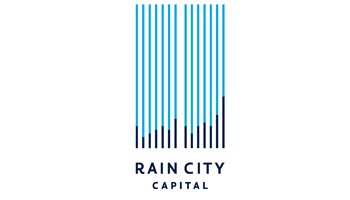 Rain City Capital is one of the largest lenders in the Seattle area, funding investors’ property purchases at the foreclosure auction, from financial institutions, at wholesale, or through traditional channels. Since 2009, the company has funded over $750 Million in loans for rehabs, short sales, escrow and auction purchases, in over 4000 transactions. Rain City Capital prides itself in offering simple, borrower-friendly services, and has a strong commitment to integrity in lending practices. Financial Services is a strong segment at ReconArt, due to the natural fit of our solution with the typical high volumes, transaction complexity, and systems and data source variety that is typical for the industry. ReconArt is proud to help support the financial operations of a dynamic and modern lender like Rain City Capital. Like many companies, Rain City Capital relied on a mostly manual process to handle their bank account reconciliations. The team was becoming increasingly aware of the significant time and resource investment their manual reconciliation required at month-end, while still leaving the door open for error. They decided to survey the market for suitable solutions, and quickly settled on ReconArt with main focus on its robust functionality, ease of use, and reasonable price point. With the implementation of ReconArt, Rain City Capital was able to exponentially speed up their reconciliation process and eliminate the opportunity for error by leveraging ReconArt’s powerful automation features. Today, we come in in the morning and run an auto match, do a couple of manual operations, and we’re done with the reconciliation for the previous day. It takes us about 15 minutes. This used to be a 50-hour effort once a month before, so we’re in a great place. Transitioning from a monthly to a daily process also allows the team to quickly address real issues (that are not attributable to timing delay) rather than dealing with a buildup of data and exceptions at the end of each month. Rain City Capital is a company that prides itself on quick, reliable lending to its customers and ReconArt helps facilitate a similar approach to internal reconciliations at the company. Rain City Capital showcased their agility through working rapidly to complete the project, always providing the necessary resources as needed. They were effective in communication and logistics with establishing both external and internal data connections, efficient in their testing and evaluation of the ReconArt workflow, and dedicated to becoming self-sufficient post implementation.